June 27, 2014: We thought it was funny. Same age as us, but bird-boned and short as a sack of meal and his hair all anyhow, and we fed him bits of us bread and peanut butter, and we stole pieces of pie from the larder for Chrissakes Charlie and fruit from Cripp’s orchard, though we picked them pears too early and they was green and hard as stones, but it made no nevermind to Chrissakes Charlie cos he ate three or six, one after the other, and he was green after, I can tell you, and he folded hisself in two and was sick as a dog or a cat and they none of ‘em want to let go of what’s in theys belly. Chrissakes Charlie just grinned and he shifted a little and he laughed like he was in on the joke. And that got to Goford one day, and he said we should duck Chrissakes Charlie in the river until he was clean as a new pin and he smelled of fishes when they’s just caught. We jes laughed and took no notice, but Goford kept on, sayin how it’d be and how we’d sit a little nearer to Chrissakes Charlie after and maybe Emmy would hold his hand and kiss his cheek and Chrissakes Charlie blushed cos he had a thing for Emmy – truth is, we all had a thing for Emmy; she’s the prettiest girl in school and I seen her in her pants once when the door to the changin room swung open, and seein her like that took my breath. Anywhich matter, we got carried away, and we did like Goford said and we took Chrissakes Charlie down to the river and ducked him in, pokin him with sticks, keepin him in the water till he was so cold his teeth rattled in his mouth like cricket-song. 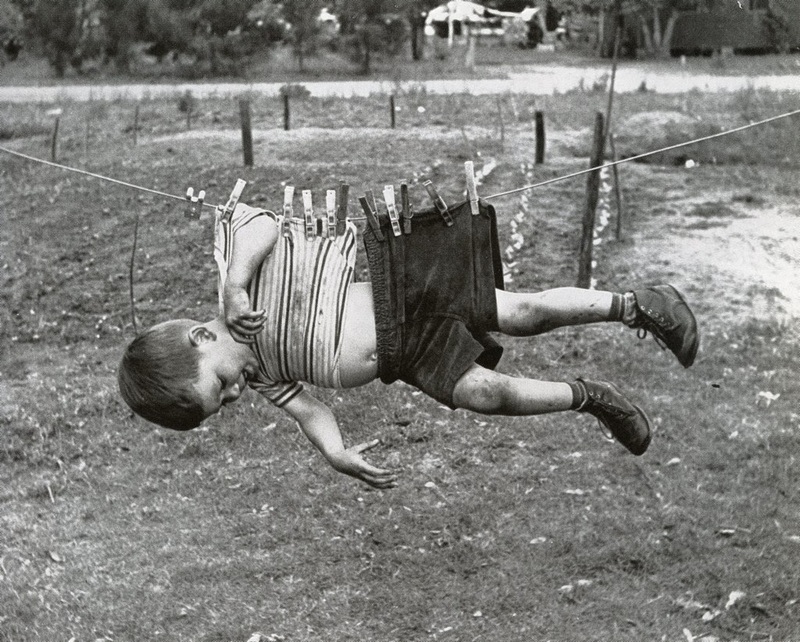 Then we hung him out to dry, and I mean we actually hung him on a clothes line, usin a hundred pegs, fixin him so he wouldn’t fall. Joke was on us after, cos Emmy and her heart of gold and wearin her church hat so she had to be good, well she helped Chrissakes Charlie down from the washin line where we hung him, and she brushed his hair with her white-gloved hand and she kissed his cheek, sweet as strawberries, and she sent him home with silver jinglin in his pocket. We called him Kiss-cheek Charlie after that, on account of we was so in wonder at the luck of the boy – ‘cept there was still days when he smelled of pigs or dog or worse, but even then we was a little kinder – he was Clothespeg Charlie then and we asked him to tell again the story of Emmy’s strawberry kiss and we sat a little closer when he did.